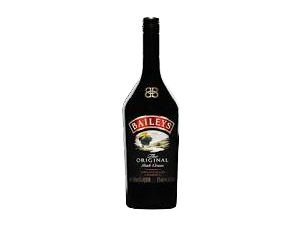 Bailey's, the number one selling liqueur in the world, proves this yet again in our tastings with its lush, fresh cream character, gentle nuttiness, and perfectly balanced dash of Irish whiskey... Milky vanilla color. Nutty, toasty, nougat aromas are inviting. A smooth satiny entry leads to a lightly sweet, plush medium-to full-bodied palate with balanced layers of cream, toasted nuts, brown spice, and a breath of lightly-aged whiskey. Finishes with a creamy, slightly spiced fade. Classically balanced and effortlessly drinkable.